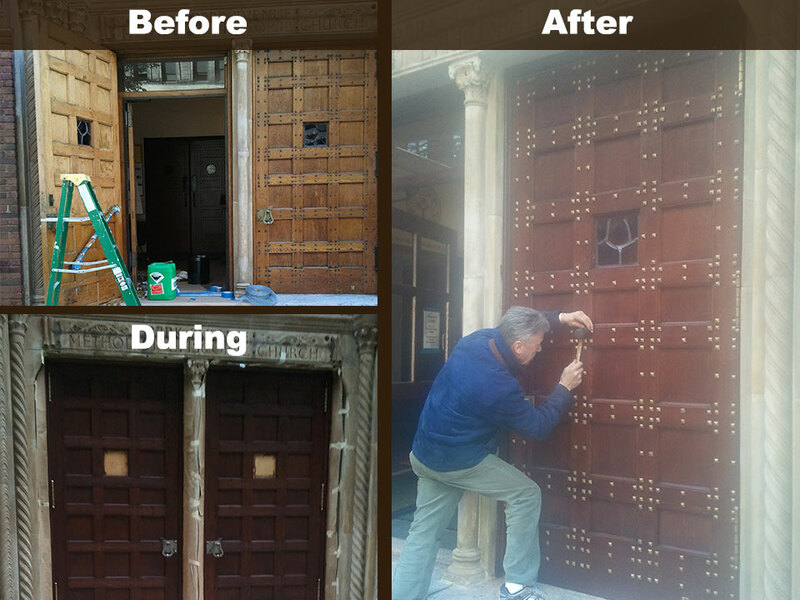 Vincent Battiloro and his crew from “The Finest Brownstone Wood Restoration” just restored the entire wooden core of our four story Coop apartment building in Park Slope. 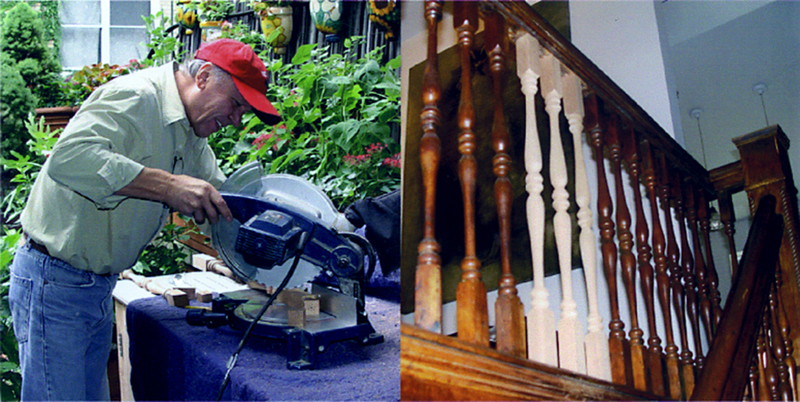 The work included stripping, sanding, staining, and refinishing of every single piece of woodwork of our wooden building staircase with threads risers, stringers, banisters, handrails and newel posts five flights up to the roof. They also restored Vestibule and Entry Hall with fluted banisters intricate moulding details on capital and cornice, door panels etc. Some of the work required resetting and replacing of original trim and ornaments which added another level of complexity to the job. After the well predicted 3 weeks of hard and dedicated work on every painted wooden surface of this project they had turned this staircase back into the crafted piece of beauty it was when erected more than 100 years ago. Mr. Battiloro truly is a master craftsman and extremely pleasant to work with. 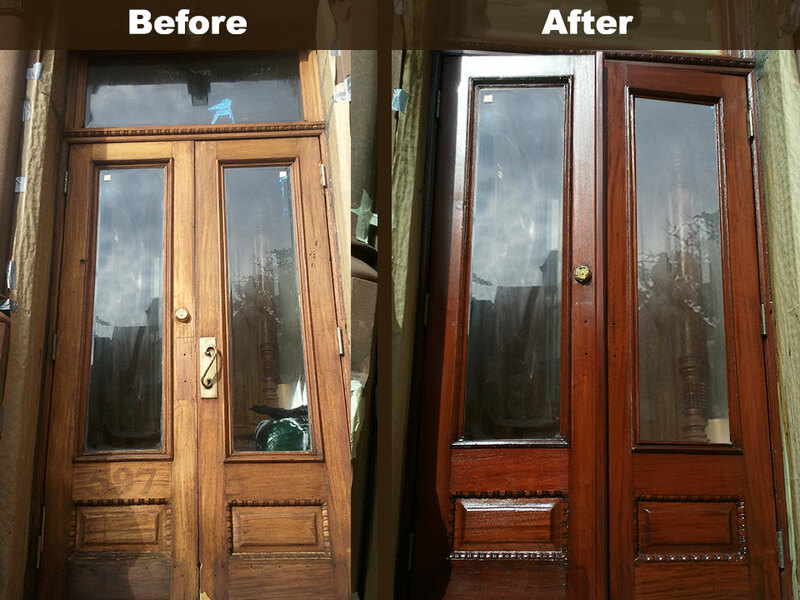 He was very professional and cooperative in the process which included series of sample stains for review and the use of more environmentally friendly paint stripper as per request. Together with his well trained long term assistants he forms a team fully dedicated to uncover every inch of beauty that any aged or painted millwork can offer. Where ever necessary on this job they went the extra mile to finish the job to perfection, all within the originally negotiated (and very competitive) price and within the project timeframe. 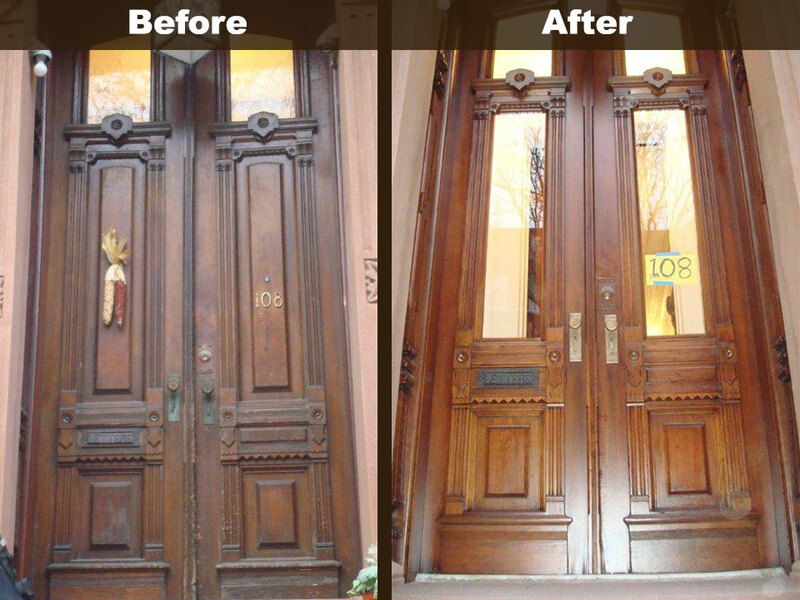 I feel fortunate to have had “The Finest Brownstone Wood Restauration” on board for our Coop building makeover. 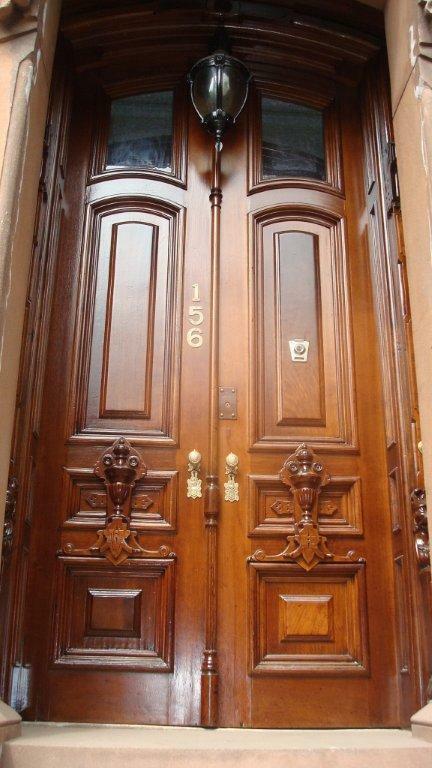 Home now starts at building entry door.